Upgrade to Dokan PRO - Make Your Online Marketplace Extraordinary! Want to sell variations of the same product? The Pro extension allows vendors to create variable products with predefined and custom attributes. 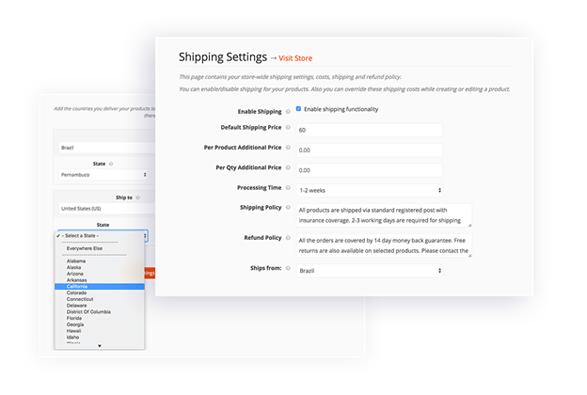 Each vendor can configure their own shipping cost for each country and state. Even these costs can be overridden from single products as well. 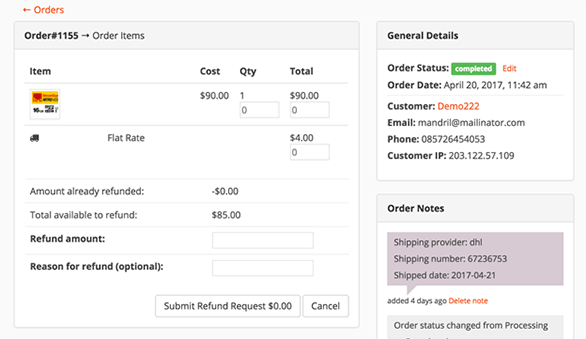 The admin can configure tax classes from WooCommerce settings. The vendors can select these tax classes for each product from the frontend. 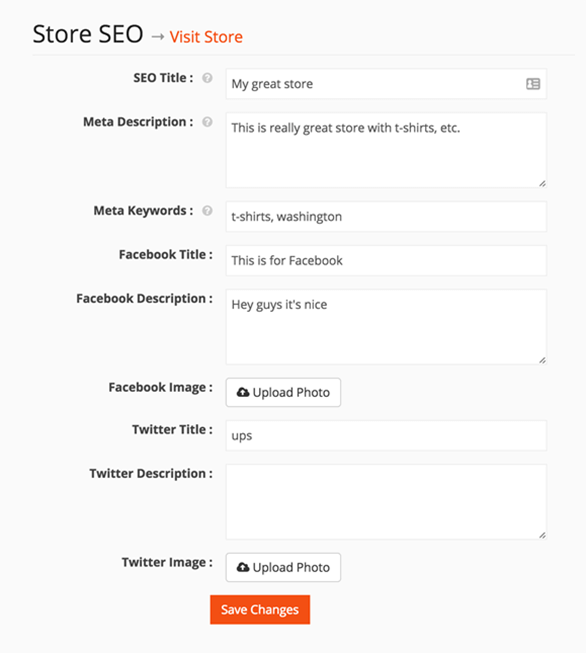 The Store Page SEO feature works with YOAST SEO plugin. The vendors can edit their store page meta title and description to optimize for search engines. Each vendor can create discount coupons for their own products. 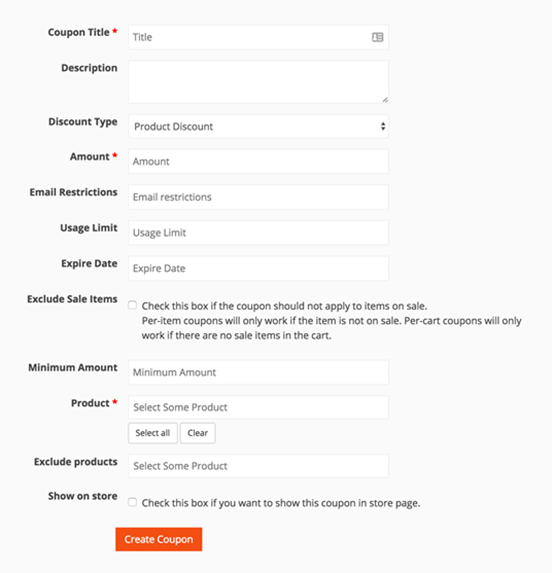 It can be single product or multiple and the customers can use coupons from different vendors on the same checkout page! 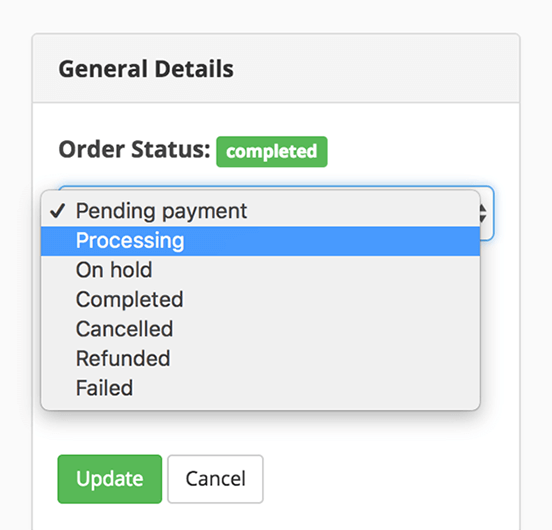 If you use an automated payment system, the vendors can issue refunds right from the back end. If you use a manual one, then the admin can issue refunds and add the log. 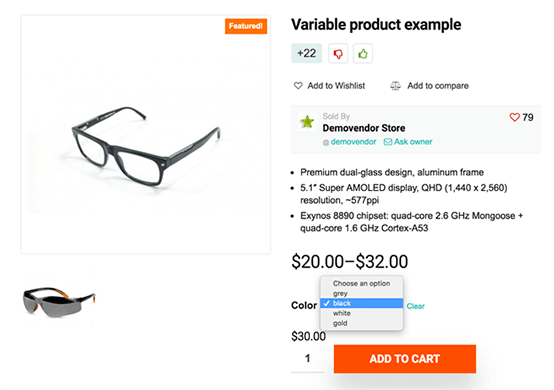 The vendors will be able to mark products as draft to unpublish them from the site and update the order status to inform the customer about the progress. This saves enormous amount of time for the admin. Data and analytics is important to improve sales and take major decisions. 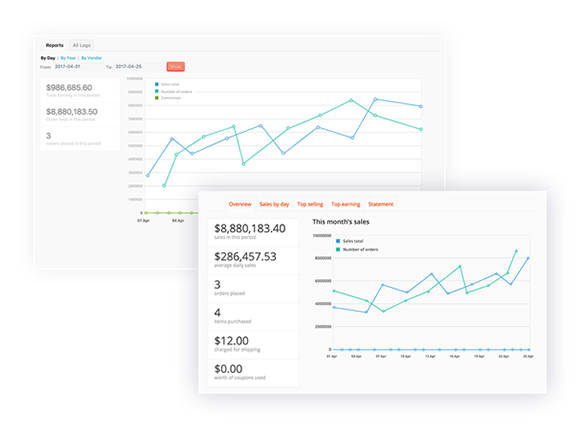 To help with that, we have implemented sales, earning and commission reports on the Pro extension. 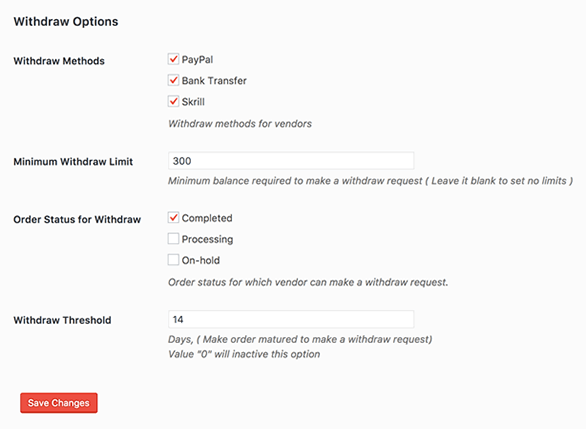 The pro version has email notification feature for the marketplace admin. 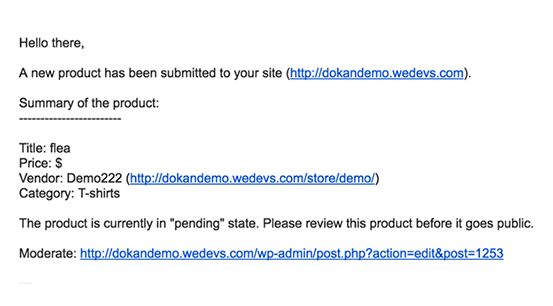 Whenever a new product is created, the admin gets a notification email. If you want to offer money back guarantee to the customers, this is will be very helpful feature for you. You can hold any defined amount for a defined period of time. It will be added to the vendors account after meeting both the criteria. 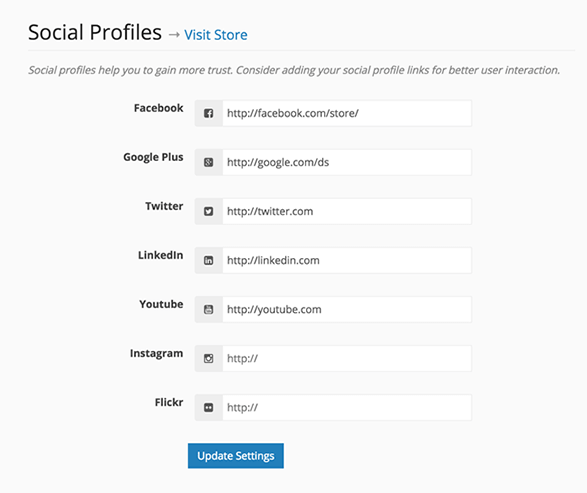 To encourage the vendor to provide all the data required to build the store page and his profile, we have implemented a profile completion bar! It will tell the vendor what his profile is missing and what information is required to complete the profile. 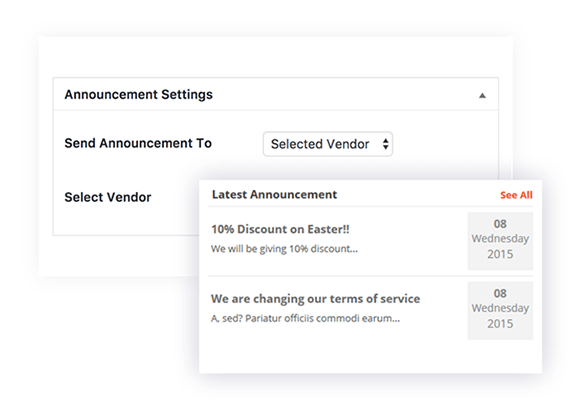 If the admin wants to notify all the vendors about a new site wide promotion or just needs to say hello, we have a feature for that! The admin can post announcements from his own dashboard. 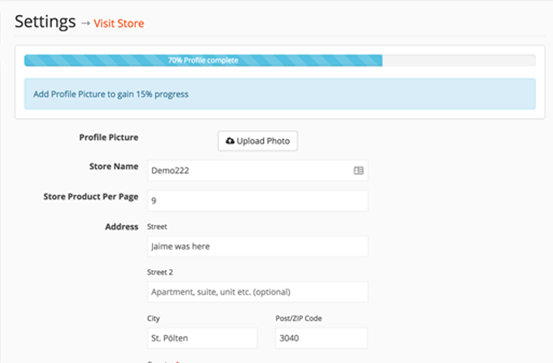 The admin can mark some certain stores as featured and they can be easily displayed anywhere in the site using a widget. This is really helpful to promote the stores and help the vendors. The customers will be able to leave a rating on each product page. 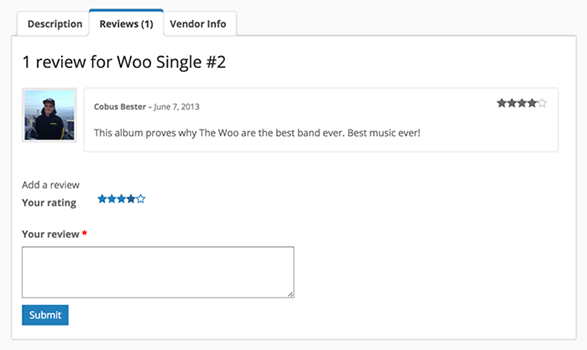 Based on the ratings on a vendor's product, an average rating will be displayed on the store page. It will increase trust between customers and vendors. 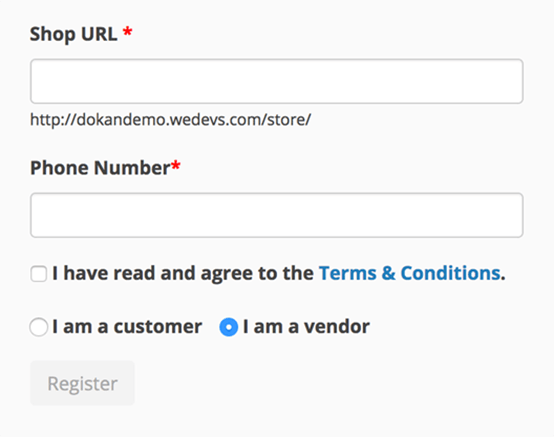 If you want to add terms and conditions for the vendors and want them to agree with it on the signup page, we have a feature for that!